Whether you love or hate taking photos, you probably don’t care too much for the photo-editing process regardless of what kind of computer you edit them on. Terry Lane, in his article for the Sydney Morning Herald, reviewed what he thinks are the top photo-editing software programs available today. 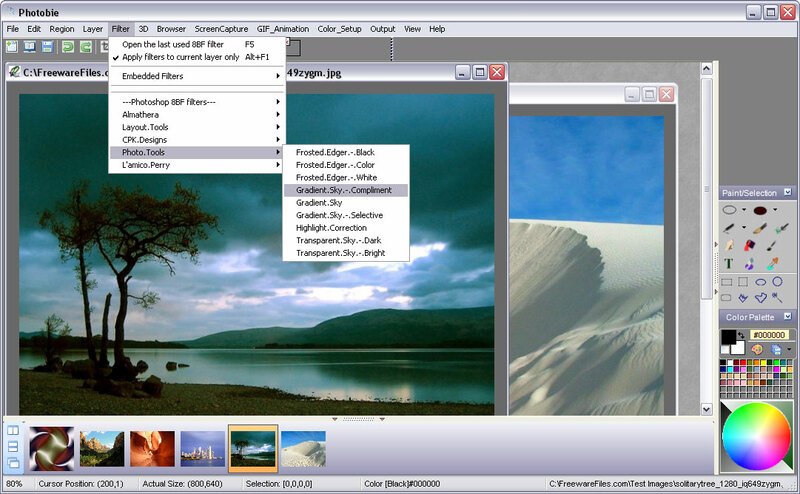 PhotoScape – PhotoScape is free to download, although you’re encouraged to donate and “support future development.” The current version, 3.6.2, is compatible with Microsoft Windows NT, 2000, XP, Vista and 7. With PhotoScape, you can edit a photo’s size, brightness, color etc., edit multiple photos with the Batch Editor, use multiple photos to create an animation, split a single photo into several pieces and a whole host of other things. The downside, according to Lane, is that PhotoScape is less than ideal for converting RAW images into JPEGs. RawTherapee – This free open source software is compatible with Windows and Linux 32-bit and 64-bit machines. According to Lane, it does just about everything Adobe Camera Raw or Lightroom can do. It’s also compatible with Mac OSX 10.6 32-bit and 64-bit machines. Downloading is neither complicated nor intrusive. IrfanView – This software is described as “a very fast, small, compact and innovative FREEWARE (for non-commercial use) graphic viewer for Windows 9x, ME, NT, 2000, XP, 2003, 2008, Vista and 7.” It quickly converts RAW images to JPEGs and facilitates viewing images as thumbnails. XnView – Like IrfanView, XnView is free for non-commercial use. It’s compatible with Windows 95, 98, NT, 2000, ME, XP, Vista and 7 as well as Windows 3.x. It’s also compatible with Mac OSX, Linux, FreeBSD, NetBSD, Irix, Solaris, HP-UX and AIX. According to Lane, XnView is IrfanView’s only competitor for the Mac. Galerie – This software is only compatible with Mac machines. Instead of storing photos on a computer desktop, a user can “drag, drop and click to create an HTML file for uploading to a server,” says Lane. What separates it from Flickr and other photo sharing websites is personalization. Each user has his own site on which to share his photos rather than having to share a site with thousands or even millions of others. With so many options, it’s hard to know which one to choose. Of course, in order to really know which photo editing software will work best for you you’ll have to spend a significant amount of time researching and maybe even trying out each one that you find appealing.